Set in beautiful landscaped and spacious gardens beside the Arabian Gulf, the One&Only Royal Mirage is an 'oasis' within Dubai. This stylish resort has an impressive Arabian design - full of intricate arches, domes, towers and courtyards - and is actually three hotels in one. 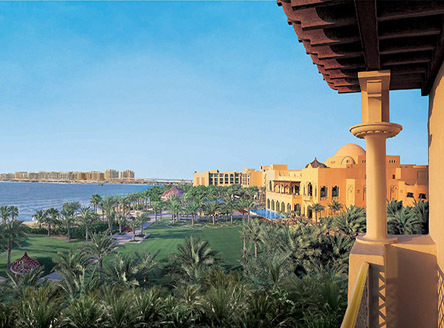 In a city full of soaring skyscrapers, One&Only Royal Mirage has the romance of Old Arabia set beside a 1km private beachfront. 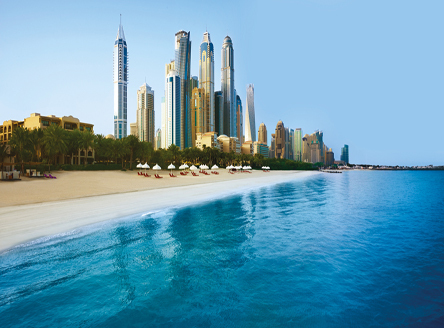 It is a fabulous choice for a Dubai stopover, combining with a luxury Seychelles holiday. 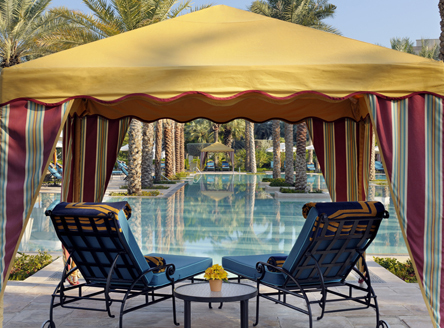 One&Only Royal Mirage is made up of three distinct environments, each offering a variety of Dubai hotel accommodation: The Palace, Arabian Court and the Residence & Spa. 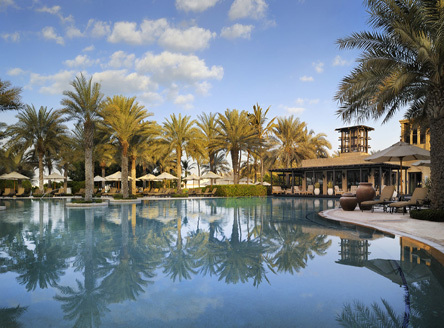 Guests have access to the full range of restaurants, bars, services and activities on offer throughout One&Only Royal Mirage. This includes a comprehensive choice of land and water sports, the huge array of restaurants and Children's Club. 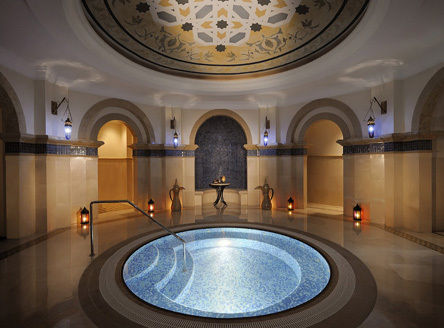 The One&Only Spa offers 12 private treatment rooms and a host of therapies as well as manicures and pedicures. There are also steam rooms, saunas, whirlpool and jet showers. The Palace, the 'entry level' hotel, has a regal presence on the beachfront evoking a sense of magic and grandeur reminiscent of old Arabia. Its 231 sea-facing rooms and suites offer amazing Gulf views and all have a contemporary elegance, but with the latest in modern amenities. 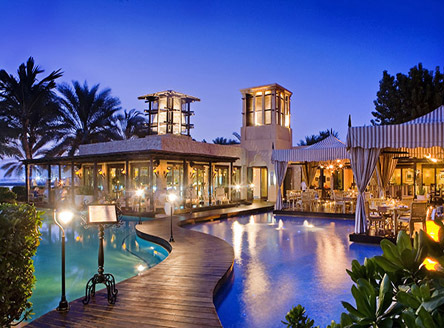 There are four unique restaurants at The Palace, available to all resort guests, and there's also a huge choice of leisure facilities including temperature-controlled swimming pools, tennis courts, golf putting green and the KidsOnly play centre. 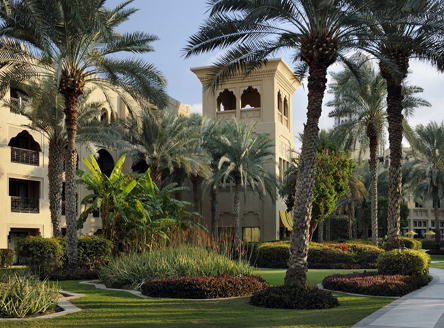 At the heart of the resort, Arabian Court is set in stunning gardens and courtyards full of fountains, pools and meandering paths. 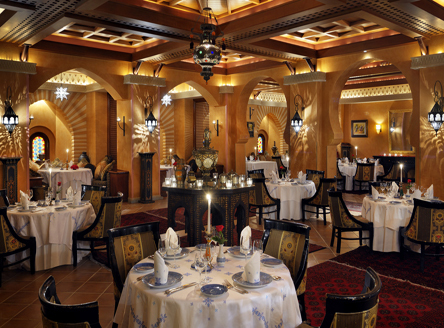 The property's two wings offer 172 sea-facing rooms and suites - all decorated with warn Arabian colours and rich furnishings. 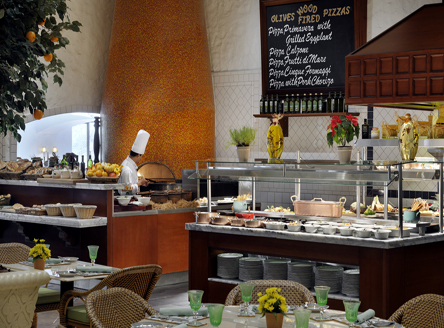 Three different restaurants here are also available to all resort guests. 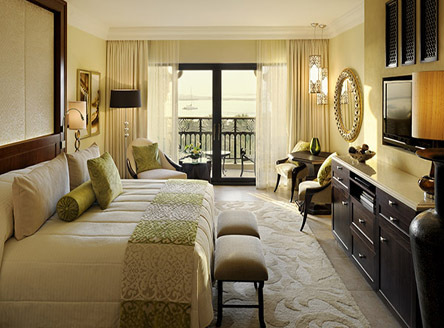 The Residence & Spa is an intimate sanctuary in Dubai consisting of just 49 luxurious rooms and suites - all having an 'Old Arabia' inspired design and set within the magnificent gardens. 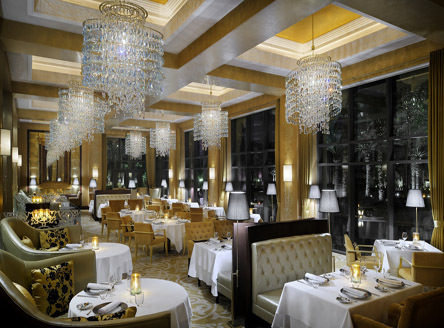 Exclusive to guests staying at The Residence & Spa is a private reception and Dining Room. 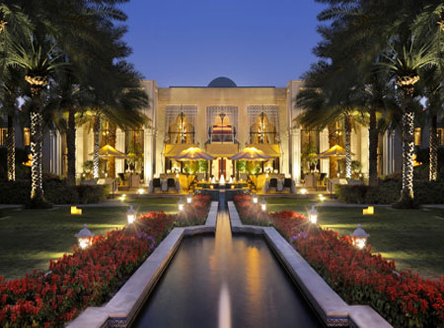 One& Only Royal Mirage not for you? 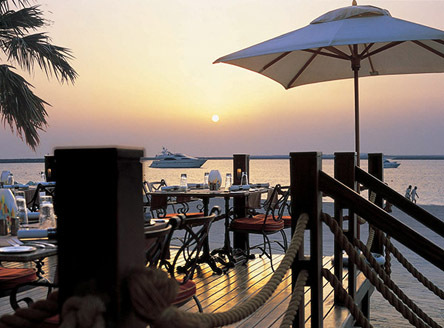 See our other Dubai stopover hotels. Approx. 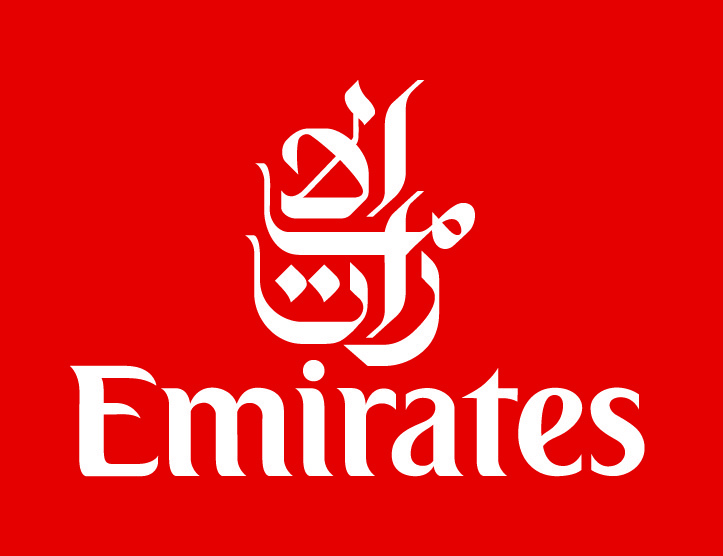 25 minutes from Dubai International Airport. The Palace: 231 air-conditioned rooms & suites including Superior Deluxe Rooms (45m²) that have king or twin beds, and Palace Superior Executive Rooms (100m²). These rooms sleep 2 adults & 1 child under 12 + 1 infant, or 2 adults & 1 teenager up to 16 years. All feature spacious ensuite bathrooms of wood and marble with separate bath and shower, lounge area, 42" LCD TV, DVD/CD player and MP3 docking station, complimentary wifi internet access, safe, and private balcony or terrace. Inter-connecting rooms. 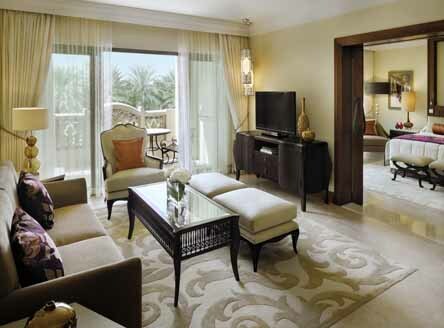 Arabian Court: 170 air-conditioned rooms & suites ranging from 50m² to 145m² (king or twin beds). All have luxurious ensuite bathrooms with separate bath and shower, dressing areas, lounge area, 42" LCD TV, DVD/CD player and MP3 docking station, complimentary wifi internet access, safe, and private balcony or terrace. Inter-connecting rooms. 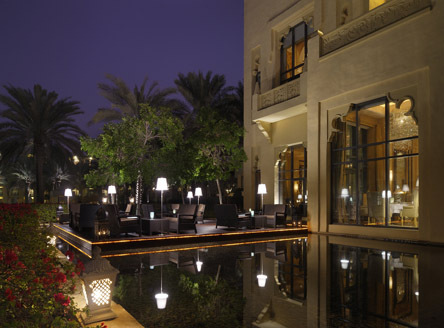 One&Only Royal Mirage provides a wonderful sanctuary in bustling Dubai. After venturing out, you can retreat to a wonderful place of intricate arches, domes, courtyards, palm-shaded pools and gardens. Of course, you may never wish to leave this 'special' environment during your stay, given its huge choice of restaurants and leisure facilities. 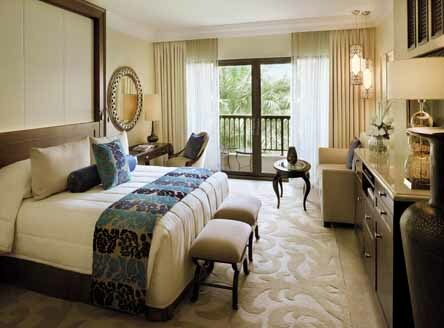 “You can't help but have a wonderful feeling of space if you stay at the One&Only Royal Mirage. 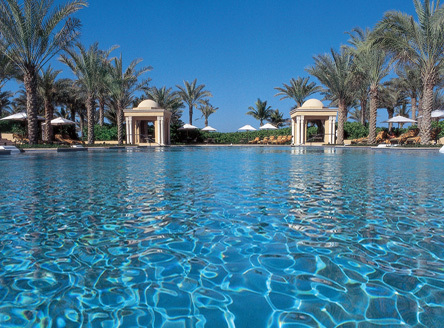 Set in gorgeous manicured gardens beside a private beach and the Arabian Gulf, the resort has a lovely taste of old Arabia, and yet with all modern amenities. Be sure to enjoy a cocktail in the rooftop bar and watch the sun set."